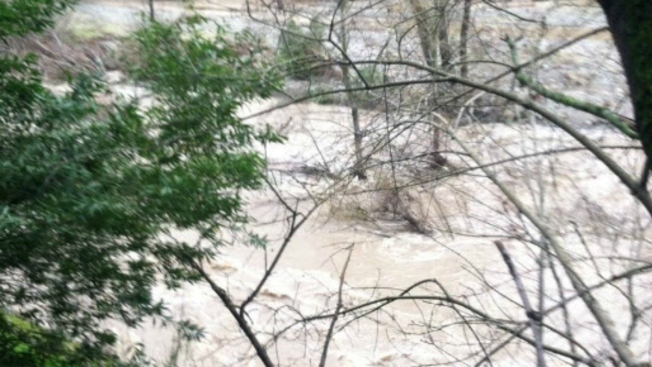 An 18-year-old Tracy woman is still missing after a vehicle went off the roadway and plunged into Alameda Creek, near Fremont, on Saturday, according to the Alameda County Sheriff's Office and the CHP on Monday. 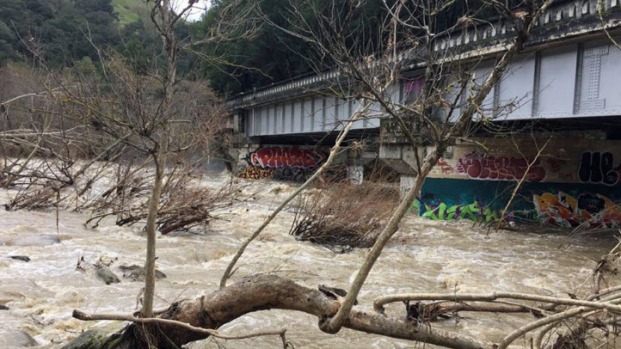 According to a California Highway Patrol report, the car, a 2000 silver Honda Accord, crossed the center divide on Niles Canyon Road, collided with a white Honda Accord and went into the creek. Initial reports indicated it had been a solo vehicle crash. Emergency crews responded to the scene, about a quarter-mile east of Palomares Road, on reports of a crash into the creek at 11:30 a.m. Saturday. The car is believed to be submerged in the creek, and the driver is unaccounted for, sheriff's officials said. Sheriff's spokesman Sgt. Ray Kelly said Sunday the driver is an 18-year-old woman, and while it's likely she did not survive the crash, officials were hoping for a miracle. Rescue team divers as of Monday morning had not entered the water and commenced a thorough search because of unsafe water conditions. They were working with the state water resource agency to reduce the volume of water being released into the creek. Crews cannot begin recovery until the water level and current subside, Kelly said. An update on Monday indicated that divers will enter the water on Tuesday morning at the earliest, but that could be pushed back to Wednesday depending on the conditions. Drones were deployed Sunday to search the area, Kelly said, and the CHP assisted with the search. "Today, we searched the area by air with helicopters, planes and drones trying to find the car but we were not able to see where it went into the water," CHP Officer Derek Reed said. Drones on Monday were lifted once again to explore the scene. Witnesses were also back at the scene of the crash to help give authorities a clearer picture of what exactly happened. Reed said even before CHP officers responded to the scene, the woman's family had reported her missing to the Tracy police. Some of them came to the crash scene to assist in the search, he said. Kelly did not say how soon recovery crews would be able to enter the water. Alameda County Sheriff's deputies and Dublin CHP were working with Fremont Fire, Fremont Police, Alameda County Fire and other state, county and city agencies in the recovery effort. Niles Canyon Road, also known as Highway 84, was closed for hours Sunday due to an unrelated rock and mudslide, which further hampered recovery efforts, Kelly said. It reopened Sunday evening.